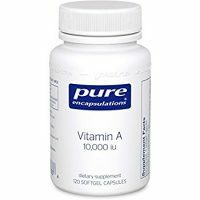 Unique source of omega-3 fatty acids, phospholipids and antioxidants to support healthy prostaglandin production for cardiovascular, joint, cognitive and skin health. 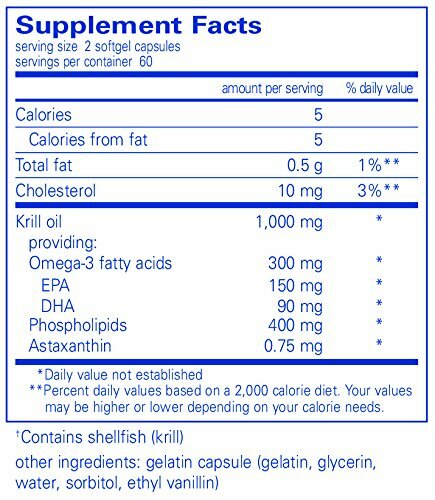 Krill oil is unique in that it offers a naturally occurring complex of omega-3 and omega-6 fatty acids, phospholipids and astaxanthin. This phospholipid-fatty acid molecule closely resembles that of human brain phospholipids, providing potential support for cognitive function. The essential fatty acids in krill oil may also mediate hormone, prostaglandin, and neurotransmitter function to support menstruating women. As a dietary supplement‚ take 2 softgels daily with breakfast for one month and one softgel thereafter or as directed by a healthcare professional. Recent research suggests that vitamin B12 promotes memory‚ neurological functioning‚ and even emotional well-being. Although the amount of B12 needed is very little‚ it is still a very important nutrient that our body needs. A deficiency in vitamin B12 can lead to anemia or even nerve damage. Vitamin B12 is especially important for vegetarians because it is not found in plants. 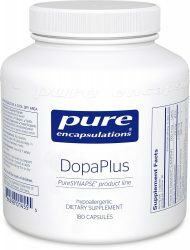 Luckily Pure Encapsulations makes it nice and easy to get our daily dose of B12 with their small-sized B-Complex Plus capsules that are even easy for children to take. Are you familiar with dopamine? It is a neurotransmitter that has a major impact on your brain by serving as a chemical messenger. Dopamine can help regulate emotional responses‚ movement‚ and internal reward and pleasure centers. Above all‚ it promotes good cognitive functioning and helps you perform the many mental tasks you need to accomplish on a daily basis. Unfortunately‚ today’s stressful lifestyles‚ toxic environments‚ and unbalanced diet can negatively impact your body’s ability to synthesize the neurotransmitters your brain needs in order to work optimally. Magnesium is used in hundreds of chemical processes within your body. A magnesium deficiency may lead to conditions such as irritability‚ nausea‚ muscle weakness‚ and seizures. It’s a critical part of metabolizing carbohydrates‚ amino acids‚ and fats. 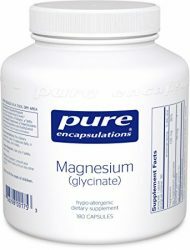 Magnesium also activates enzymes that are essential in many functions of the body. Magnesium has also been associated with helping alleviate insomnia and migraines. Also‚ magnesium has been shown to help some people maintain their blood pressure levels. It even shows signs of promoting the evening of mood during the menstrual cycle! Since magnesium deficiency can impair bone growth‚ it’s important to include magnesium in your bone growth efforts. Magnesium‚ along with assisting other vital body systems‚ helps absorb calcium and transport it to the bones. 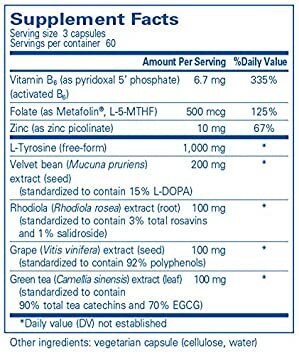 As a dietary supplement‚ take 1-4 capsules daily‚ with meals. Support for bone, breast, prostate, cardiovascular, colon and immune health in an easy-to-use liquid form. 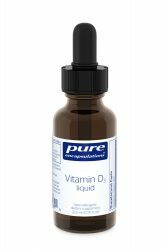 Pure Encapsulations Vitamin D3 liquid provides 25 mcg (1,000 IU) per drop. For individuals with greater short-term needs, this product allows for achieving 625-1,250 mcg (25,000-50,000 IU) vitamin D3 per week without having to take multiple capsules. For the elderly, Vitamin D3 liquid is an easy-to-use form. Vitamin D3 is offered in a base of medium chain triglycerides to support absorption. 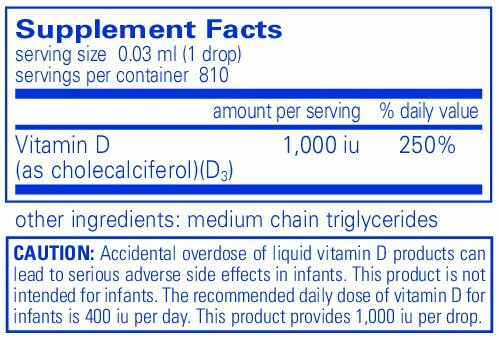 Vitamin D3 liquid is also free of preservatives, artificial colors, flavors and sugars. As a dietary supplement‚ take 1-7 drops daily‚ with a meal‚ or as directed by a health professional. 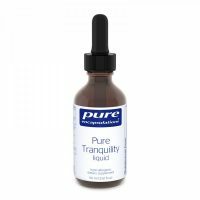 Pure Tranquility Liquid by Pure Encapsulations consists of l-theanine‚ glycine‚ and GABA. The latter two are inhibitory neurotransmitters that may help promote relaxation due to their potential to relieve occasional stress. Inhibitory neurotransmitters can promote balance and calm the brain‚ as opposed to providing stimulation. If excitatory neurotransmitters This potential is due to their possible ability to enhance the production of alpha waves in the brain (which may occur as soon as one hour after taking this supplement). 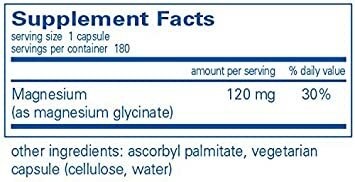 As a dietary supplement‚ take 4 ml (4 full droppers)‚ 1-2 times daily‚ between meals. IMMUNE HEALTH & ENERGY: Supports immune system health and cellular energy. 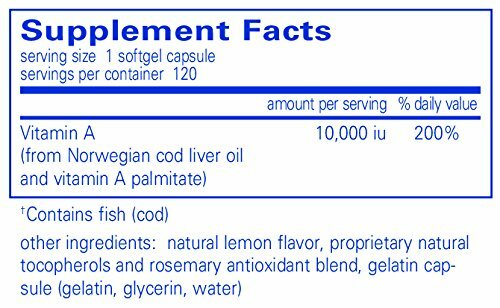 Take 1–2 softgels per day with meals. As a dietary supplement‚ take 2 capsules daily‚ with a meal. Supports skin elasticity and hydration, healthy hair, and nail strength and thickness. Vitamin C, zinc, copper, manganese and silica are integral collagen and keratin cofactors, promoting skin elasticity. Optimal levels of these nutrients, as well as folate, have been associated with healthy hair, skin and nails. PureWay-C®, a rapidly absorbed enhanced retention vitamin C, supports skin resiliency and helps counter the effects of oxidative stress along with sustained-release CoQ10 complex. Niacinamide and zinc promote immune function in the skin. The proanthocyanidins in grape seed extract help to stabilize collagen and elastin by moderating the proteolytic enzymes collagenase and elastase. Clinical studies indicate that biotin may help reinforce the keratin structure of the nails, promoting strength and thickness. PABA supports the appearance of healthy hair through its effects on melanin metabolism. 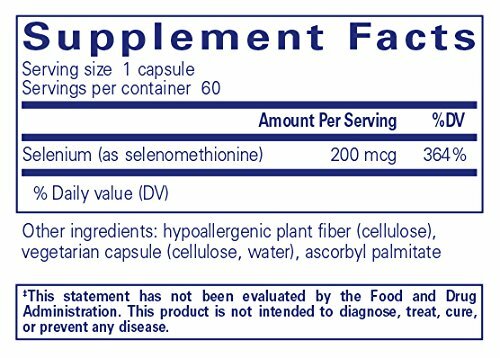 As a dietary supplement, take 2 capsules daily, in divided doses, with meals. 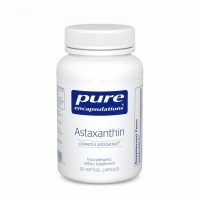 Maintains healthy arginine production and supports the body’s natural defenses. l-Lysine, an amino acid, provides nutritional support for the body’s natural defenses. l-Lysine is particularly helpful in maintaining healthy gum and lip tissue. 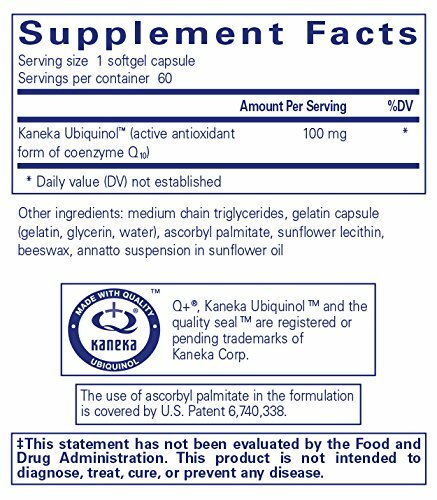 As a dietary supplement‚ take 1 capsule‚ 2 times daily‚ between meals‚ or as directed by a health professional. 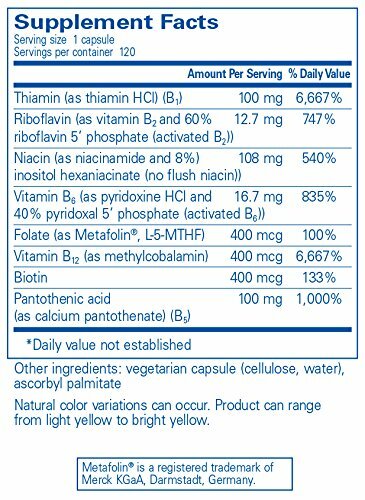 Nutritionally supports the mucosal lining and the healthy functioning of the gastrointestinal tract, as well as lean muscle mass. 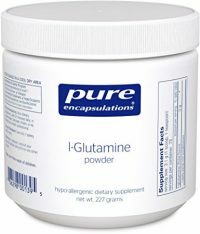 l-Glutamine is the most abundant amino acid in the body. In times of metabolic stress, glutamine is utilized by the body for tissue repair and gastrointestinal tract support. Glutamine plays a large role in maintaining healthy intestinal integrity by enhancing the intestine’s protective mucosal lining. In addition, glutamine is important in the preservation of muscle mass. 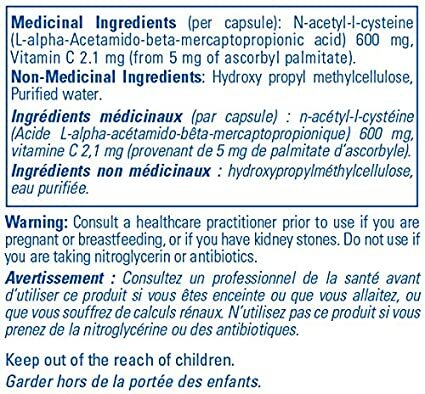 As a dietary supplement‚ take 1 heaping scoop mixed with water or juice‚ 1-3 times daily‚ between meals‚ or as directed by a health professional. Powerful antioxidant for the skin, macular health, joints, immune system and cardiovascular function. Derived from Hawaiian Haematococcus pluvialis microalgae cultivated under pristine conditions, esterfied astaxanthin is a stable, powerful, fat-soluble antioxidant from the carotenoid family. Haematococcus algae produces astaxanthin to protect itself against ultraviolet induced free radical damage. 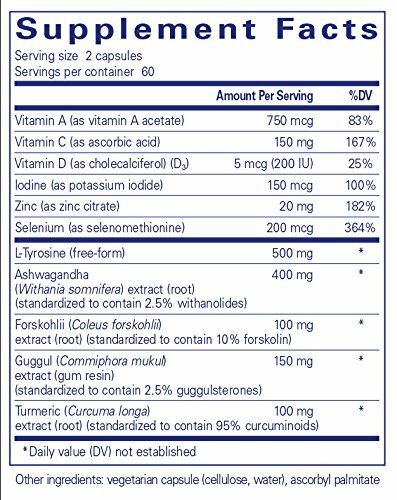 Take 1-3 capsules per day, in divided doses, with meals. function, and the integrity of mucosal and epithelial surfaces. Supports antioxidant defenses, immune function and cellular health. Selenium is a natural antioxidant that delays the oxidation of polyunsaturated fatty acids and preserves the elasticity of tissue. Selenium is required for the production of certain prostaglandins, which promote healthy blood flow. Selenium may also help support healthy growth and fertility, as indicated in a research study using a combination of selenomethionine and vitamin E. Selenium also provides support for the immune system. Selenomethionine serves as a storage form of selenium. It is incorporated into proteins and released as the proteins are catabolized. 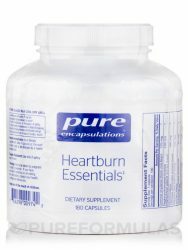 Maintains healthy gastric secretion, supports digestion and soothes the digestive tract. 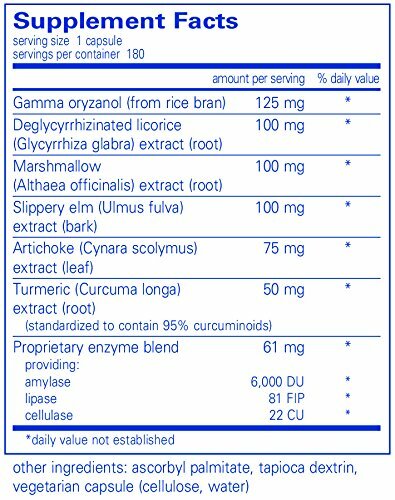 For years, gamma oryzanol has been associated with maintaining healthy gastric secretion, even under occasionally stressful conditions. It is likely that gamma oryzanol does this by influencing the autonomic nervous system. DGL, marshmallow and slippery elm provide traditional support for soothing the gastrointestinal tract and promote the integrity of the mucosal lining. Artichoke helps to stimulate the digestive process. Plant enzymes further promote digestive function. 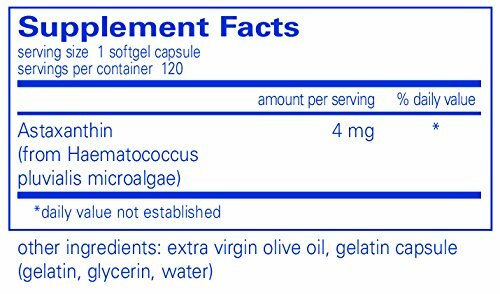 As a dietary supplement‚ take 1 capsule at the start of each meal‚ or as directed by a health professional. Combines resveratrol with polyphenols from red wine and grape seed for enhanced support of healthy cellular and cardiovascular function. Resveratrol promotes cardiovascular health, helping to maintain healthy platelet function and arachidonic acid metabolism. A recent Harvard study suggests that it may also promote overall health, metabolic function and longevity. Grape seed extract and red wine concentrate offer polyphenols, complementing the cellular and cardiovascular health benefits of this complex. 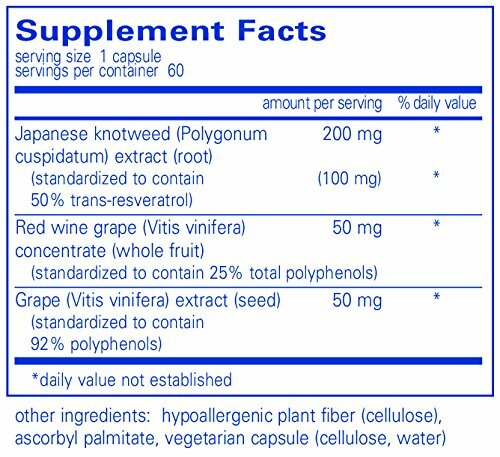 One capsule of Resveratrol EXTRA contains the amount of resveratrol equivalent to an average of 66 bottles of red wine. Supports respiratory function, glutathione production and detoxification. N-Acetyl-l-Cysteine (NAC) is a derivative of the dietary amino acid l-cysteine. NAC has a high affinity for lung tissue, which it supports through mucolytic and antioxidant action. 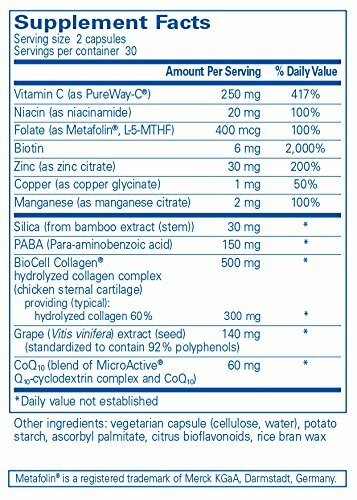 NAC supports tissue levels of glutathione, a key component of the antioxidant defense system.